The former Institute of Linguists was granted its Royal Charter by HM Queen Elizabeth II on 19 July 2005 and formally began operating as The Chartered Institute of Linguists (CIOL) on 1 September 2005. CIOL believes in a world which values every language, every culture, every linguist. Our aims and objectives are founded on the belief that knowledge of languages and intercultural competence benefit society economically, culturally and politically. These values are underpinned by a belief in equality and a respect for diversity and difference. 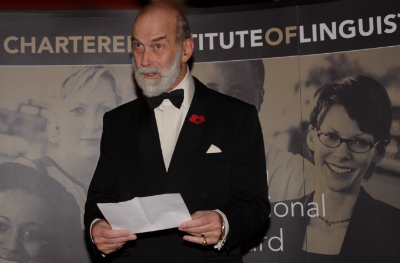 The Institute's patron is HRH Prince Michael of Kent GCVO. Prince Michael has his own website with more information about himself and his family. We are honoured to have His Royal Highness present our Annual Awards on a biennial basis. Professional Associations Research Network (PARN) – a non-profit membership organisation for professional bodies. By being a Member of PARN, we are committed to good practice, kept up to date on current research and are part of a network of professional bodies that learn from and share with each other. International Federation of Translators (FIT) – a federation of national associations for translators, interpreters or terminologists around the world. CIOL is an Observer Member of FIT. IoLET's professional qualifications can lead to registration with the National Register of Public Service Interpreters (NRPSI) – the UK’s independent voluntary regulator of professional interpreters specialising in public service. Speak to the Future – The campaign for languages – highlighting the importance of languages, language learning and professional language activities for the UK. Routes into Languages – A consortium of universities working together with schools and colleges, to enthuse and encourage people to study languages. Professional Interpreters for Justice (PI4J) – A consortium of professional interpreters’ organisations which challenges the private outsourcing of interpreter provision to UK courts and police services, aims to establish communications between UK government and interpreter organisations and pushes for regulation of the interpreting profession and protection of the title Legal Interpreter. Who are linguists and what do they do? Practising CIOL members are qualified, experienced language professionals for whom extensive knowledge of one or more foreign languages is a prerequisite for their work. They may, for example, be translators, interpreters, teachers of modern foreign languages, university lecturers or professionals who use their foreign language skills as a core part of their role in business, the professions or government. Caritas Institute of Higher Education (CIHE) aspires to be a leading post-secondary institute in Hong Kong, and the School of Humanities and Languages currently offers a four-year BA (honours) in Language and Liberal Studies programme. CIHE is linked with Caritas Bianchi College of Careers (CBCC) which offers sub-degree programmes, including those related to translation, music and humanities. Both units are dedicated to developing quality and innovative learning processes, as well as fostering knowledge and team spirit in achieving holistic education. Durham University’s School of Modern Languages and Cultures is a top-ranking department in the UK, offering programmes in Arabic, Chinese, French, German, Hispanic Studies, Italian, Japanese and Russian. Its MA in Translation Studies has a longstanding association with the CIOL and has been a member of the European Masters in Translation network since 2011. Each year the School’s Centre for Foreign Language Study (CFLS) provides language-learning opportunities in 18 languages to 2,000 learners from the University and the local area. Founded in 1970, the Department of Languages & Intercultural Studies at Heriot-Watt University specialises in the fields of translation and interpreting studies, as well as (inter)cultural studies such as living cultural heritage, language policy and intercultural communication. 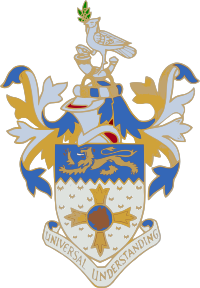 The Department is one of only four UK university departments that have been granted membership of CIUTI. Across both our undergraduate and postgraduate programmes the portfolio of languages include Arabic, British Sign Language, Chinese, English for Academic Purposes, French, German, and Spanish. Lancaster University is a leader in higher education. The department of Languages and Cultures engages in a distinctive exploration of Chinese, French, German, Italian and Spanish languages in the context of their related global cultures. This approach yields an exciting synthesis of language study and wide-ranging cultural studies and informs the delivery of both specialist and comparative courses, a wide variety of language and joint degree schemes, and research that spans Europe, Africa, China and North and South America. Leeds Beckett University is a modern professional university providing a diverse range of vocationally oriented higher education programmes to undergraduate and postgraduate students from the UK, and around the world, in cooperation with national professional bodies, partners and employers. The Department of Languages forms an inclusive community of academics from multi-disciplinary and professional backgrounds. We provide research and publications in the areas of Language Learning and Teaching, Translation and Interpreting, Materials Development, Corpus Linguistics and Discourse Analysis. At London Metropolitan University, we support your desire to study the subject you love. You’ll have access to a world-class education, opportunities for work experience, and a diverse and welcoming environment where you can make incredible lifelong friendships. When it comes to teaching excellence, London Met outperformed all five London Russell Group universities – UCL, King’s College London, Queen Mary, Imperial College London and the London School of Economics – in the Sunday Times Good University Guide. (Reported September 2016). The Open University is a public distance learning and research university which offers flexible part-time and distance-learning study at the undergraduate and postgraduate level. The School of Languages and Applied Linguistics provides outstanding teaching founded on world-class research in Applied Linguistics, English Language, and Modern Languages. Our curriculum ranges from access modules to research degrees, including an MA in Translation and an MA in Applied Linguistics. We enjoy fruitful partnerships with organisations including the BBC, Times Educational Supplement, British Library, DFID, and British Council. The School of Modern Languages, Literatures and Cultures at Royal Holloway, University of London, is renowned for its world-class teaching and research, welcoming and friendly atmosphere and a wide range of prestigious degree programmes. Through research that expands minds and changes lives, the dedication of our teachers and the feel of the Royal Holloway experience, ours is a community that inspires individuals to succeed academically, socially and personally. As one of the UK’s leading universities we are home to some of the world’s foremost authorities in the sciences, arts, business, economics and law. 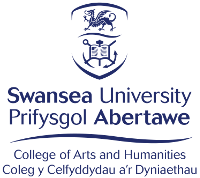 Swansea University is a research-led university that has been making a difference since 1920. The University community thrives on exploration and discovery, and offers the right balance of excellent teaching and research, matched by an enviable quality of life. The University has achieved its ambition to be a top thirty research University, soaring up the 2014 Research Excellence Framework league table to 26th in the UK. The University of Bath is a top ten UK university with a reputation for research and teaching excellence. It prides itself on having a supportive culture, creating a welcoming, inclusive campus community that values the individual, supporting the realisation of their potential. The UoB fosters a collaborative style of working: pursuing research and teaching in partnership with business, the professions, the public and voluntary sectors, and other partners. Its community is characterised by its culture of high achievement, enterprise and creativity. The University of Central Lancashire (UCLan) is one of the UK’s largest universities, placed by the Centre for World University Rankings in the top 3.7% for all worldwide universities. The School of Language and Global Studies offers students the opportunity to learn 29 different languages via various pathways, including language degrees in over 20 combinations. The school strives to develop global graduates by giving students the opportunity to participate in international experiences. The University of Dundee , located on the East Coast of Scotland, offers language study in French, German, Spanish to Honours degree level in combination with other subjects (Applied Languages). In addition to this, a range of languages can be studied as part of a degree in the Languages for All programme which is also open to the public. Graduate Diplomas and Intensive courses are available for distance learners in languages. Translation Studies at Edinburgh University is one of the most comprehensive and flexible translation studies programmes within the UK. Our Masters programme brings together the expertise of staff from the various language units within the School of Literatures, Languages and Cultures and engage highly-qualified research-active academics as supervisors to develop your understanding of your subjects. Our programme aims to enhance your practical skills in translation with an intellectual perspective on the discipline of translation studies. For more information consult: https://www.ed.ac.uk/literatures-languages-cultures/translation-studies/msc-translation-studies. Exeter’s MA in Translation Studies provides a rigorous academic foundation and excellent professional training for careers in the language services industry. Our course trains students to seek the highest quality in their practice based on extensive knowledge of critical trends in the field. It develops key competencies for accurate and effective translations, including professional training in the use of CAT tools, editing and revising, localization, project management, and professional ethics, and also includes an optional Work Placement/Project module. The University of Kent is the UK’s European University and is ranked among the best in the UK. Kent celebrates intellectual and cultural diversity with a commitment to educate its students to be the global citizens of tomorrow. Our Department of Modern Languages was ranked 3rd in the UK in the Research Excellence Framework (REF) and The Complete University Guide 2017 ranked all our language subjects first in the UK for research quality. Students are at the heart of what we do and we provide one of the best all round student experiences in the UK. The University of Surrey has established itself as a top-ten university in major national league table rankings and was awarded Gold in the Teaching Excellence Framework (TEF) in June 2017. The Centre for Translation Studies (CTS), within the School of Literature and Languages, is dedicated to teaching, scholarship and research in Translation Studies. Offering postgraduate programmes in Translation and Interpreting, the Centre combines leading research expertise with professional relevance, and is proud of its active links with the leading professional bodies. The University of Sussex is a research-intensive institution located outside Brighton in the South Downs National Park. It was the first of the ‘Plate Glass University’ generation, founded in 1961. The Centre for Language Studies offers courses in Arabic, British Sign Language, French, German, Italian, Japanese, Mandarin Chinese and Spanish, in addition to English Language Teaching at both under-graduate and post-graduate level. Languages at Sussex consistently perform well in subject league tables, and in 2018 Iberian Studies at Sussex was ranked first in the National Student Survey for overall satisfaction. Central to the mission of SCLS is the goal of developing global graduates with the skills to compete for the best jobs in international or multinational environments. The University of Westminster, founded in 1838 as The Polytechnic Institution and based in the heart of London, offers many exciting opportunities to study European and non-European languages and trains competent linguists ready to enter the workplace. Our undergraduates can combine two languages, start a new language, specialise in translation, or study a language with another subject. We also have a long and proud tradition of offering Masters degrees in Specialised Translation, Translation and Interpreting, and International Liaison and Communication.